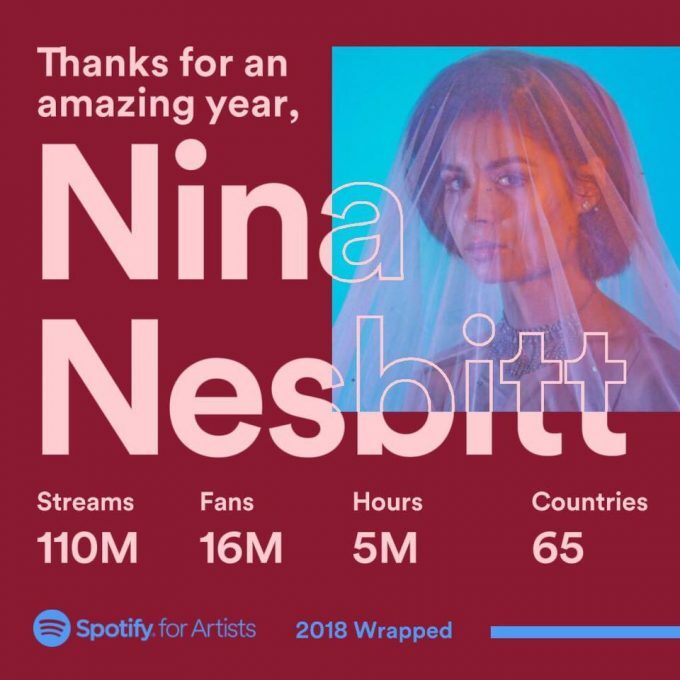 110 Million streams for Nina Nesbitt this year! The highly anticipated second album from Nina is landing on Feb 1st 2019. But before its even landed Nina has had over 110 million streams in 2018 alone…….110 MILLION! Spotify have been continued supporters of Nina, from global playlists on her singles, Billboards in Times Square and her participation in their ‘Louder Together’ campaign, Nina wouldn’t be where she is now without their support. So this ones for you Spotify….THANK YOU! You can pre save and pre order the new album HERE!